We already know that chatbots have great potential to automate and simplify internal and external communications, for all types of organizations, profit or non-profit. However, while their future adoption and efficiency is broadly asserted by experts, there were still very few studies that estimated precisely how much money would be saved by using chatbots. But this was before. A study conducted by Juniper Research and published in July 2018, shows that by 2023, no less than 2.5 billion hours of customer service will be saved, equivalent to $11.5 billion per year that businesses will save by using chatbots, compared to $48 million today. It was $20 million in 2017, if we go back to the study Juniper Research did last year. So the savings made by chatbots have increased by 100 % in just 1 year, and they will increase by over 2000 % in the next 5 years! These figures are incredible, but they are quite understandable. We can see that chatbots are becoming more easily available and accessible to a large audience of non-experts, and therefore even small businesses can set up a personalized chatbot according to their needs. 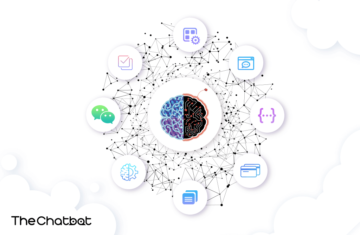 Online chatbot editing platforms have made this possible, with their cloud-hosting solutions for chatbots, avoiding the need for a large budget for setting up servers, and also the need for developers specialized in the field. 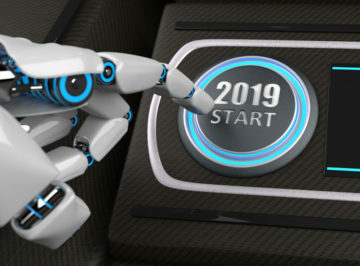 The 100 % boom in one year can also be explained by the fact that many companies had chatbots in preparation in 2017 (year of great excitement around chatbots, with some of their first major successes in big companies), which were only delivered in 2018. Will 2019 give us a similar surprise? It is expected that this will be the case. 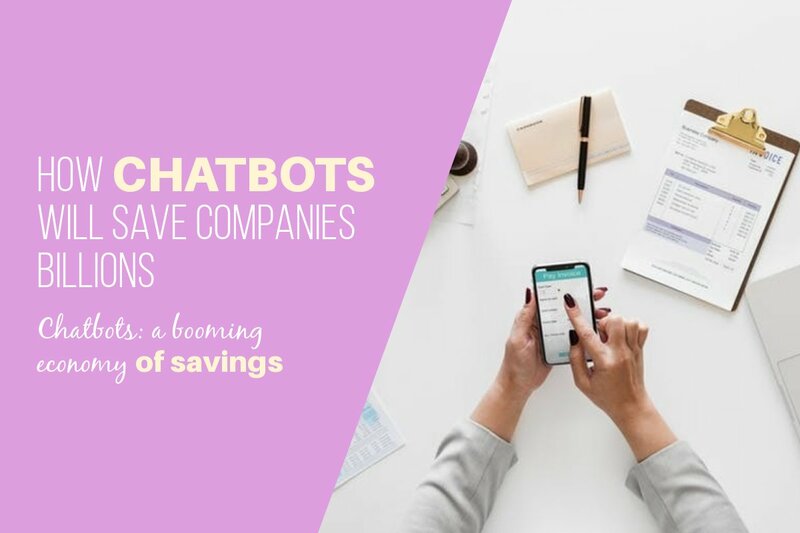 These savings come mainly from the reduction of customer service costs, reducing the cost for each communication, as chatbots will partly replace customer service representatives. But chatbots will also be used to develop eCommerce! This will be mainly through telephones and social networks. But the eCommerce regulations will need to be taken into account when creating commercial chatbots, so they will have to display all the legal information. For both customer service and eCommerce, chatbots will drastically reduce the exchange time on the communication channels between the company and the customer. The most affected sectors will be: Banking & Finance, Commerce & Retail, Healthcare, Travel & Hospitality and Insurance. A major advance will be the efficiency of chatbots, and the trust placed in them by the users, since in the banking sector for example, whereas today only 20% of interactions with chatbots are successful, by 2022 it will be 93% of exchanges that will be successful. However, it is the retail sector that will benefit most from chatbot technology, as it is estimated that 70% of chatbots will be linked to the retail trade. This is not surprising since it is indeed in this field that the interactions with customers are most repetitive or similar, but it is also because retailers are becoming hegemonic companies in a whole range of markets, and not just one, just like Amazon. It is estimated that eCommerce transactions made by chatbots will reach $112 billion by 2023. So expect exchanges and transactions via chatbot to become commonplace! The study, which is thoroughly detailed, was carried out with more than forty big companies (including the GAFAM) in no less than 16 countries around the world. For these IT and business giants, it is predicted that up to 40 % of the requests they receive will be automated, and that 50% of them will host chatbots directly in their applications. Thus, they will no longer appear as a separate applications, but we will be talking about “discreet” chatbots, naturally incorporated in exchanges with the services of a company. We will witness a revolution in the way applications work, becoming even more interactive and self-improving, refining as the number of interactions (and therefore the experience) increases. Indeed, machine learning technologies are already in place in some chatbots, allowing them to recognize the emotions and intentions of users to adapt their responses accordingly. This is called Natural Language Processing (NLP). 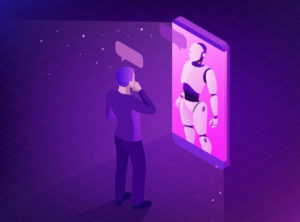 This understanding of users will make them give more trust to chatbots, as the more data they will give to chatbots, the more the decisions made by the chatbots will be adapted to their needs . The best way to do so is to create simple chatbots to begin with, to get the customers used to the company’s chatbot and create trust, and then adding machine learning functions one by one. This is the best approach both for the user and the company, as it will allow the creators of the bot to test the new functionalities one by one, in a trial-and-error way, instead of trying out a complex bot, of which it will be complicated to know what users like or dislike about it. It still seems difficult to us to imagine exactly what the applications of the future will look like, given the creativity of app designers and the fact that new tools still unknown to the general public will be at their disposal. What will they do with chatbots? The study makes the obvious guess that messenger bots will send users automated messages, making use of the expansive user bases of social networks such as Facebook and Twitter. Also, it suggests that loyalty schemes will be implemented, such as coupons, e-stores and time-limited offers and discounts, and chatbots will also be able to remind customers of the products that are still in their shopping cart but that they haven’t bought yet, inviting them to proceed with the purchase. But will there be new, disruptive ways of using chatbots in apps? How will the eCommerce regulations impose a certain model on chatbots? We don’t know yet, but thanks to this study made by Juniper Research, we know for sure that the future of chatbots looks very exciting!…. and very profitable. So, individual investors and companies, you now know what to do. Lorcan is an IT engineer and a specialist in AI and Robotics based in Barcelona, Spain. He worked for the European Space Agency and then decided to devote himself to writing articles to spread knowledge about new AI technologies.